As the newest addition to the Reference series of speakers, installers can now access the KEF Ci5160REF-THX Full Range Speaker through leading distributor, AWE. Designed with high quality performance in mind, the KEF Ci5160REF-THX combines an aesthetically pleasing design with ease of installation. The new KEF Ci5160REF-THX speaker sits alongside an extensive range of audio solutions from AWE, designed to achieve the ultimate home cinema sound experience. The KEF Ci5160REF-THX has been engineered with the design characteristics of professional studio speakers for impressive, impactful sound. Meeting KEF’s Extreme Theatre and THX Ultra Certification, as well as the Reference Build Certificate, the Ci5160REF will deliver for installers and customers alike. Soon to be included in AWE’s Smart Apartment, the speakers feature three key innovations drawn from KEF’s signature ‘Reference’ technology, including the Uni-Q point source MF/HF driver array to give the speaker enhanced dispersion characteristics. Originally designed for the KEF Blade, this revolutionary technology gives the KEF Ci5160REF-THX the performance of a floor-standing unit, with all the practicality of an in-wall speaker. Together, the 25mm vented aluminium dome tweeter and the 125mm mid-range driver provide a single source for seamless, natural sounding audio with a wider dispersion area than in-wall speakers typically achieve. Optimised for in-wall use, the KEF Ci5160REF-THX’s bespoke 160mm bass driver features a vented magnet assembly, and the crossovers are mounted onto separate boards to minimise crosstalk. This results in outstanding levels of acoustic performance, combined with a sleek, slim appearance that can blend in with the design of any interior. The original AWE Dolby Atmos cinema will shortly be upgraded to become a Reference THX cinema room, featuring the new KEF Ci5160REF-THX speakers the Marantz AV8805 pre-amplifier. AWE encourages integrators to use its facilities for customer demonstrations. In addition to products, AWE also provides a dedicated training course on Designing an Immersive Audio Home Cinema for integrators through its Smart Home Academy. The one day course provides attendees with the tools required to achieve an outstanding home cinema design, including: working with immersive audio (Dolby Atmos and DTS:X), cinema speaker placement, selecting the best projector and screens, as well as specifying AV receives. The next available date for this course is Tuesday 18th September, in Epsom. 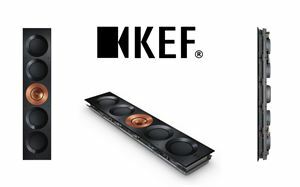 For more information on the KEF range and other products available from AWE, or to set up a visit to the AWE HQ, visit www.awe-europe.com call +44(0)1372 729 995 or email [email protected].